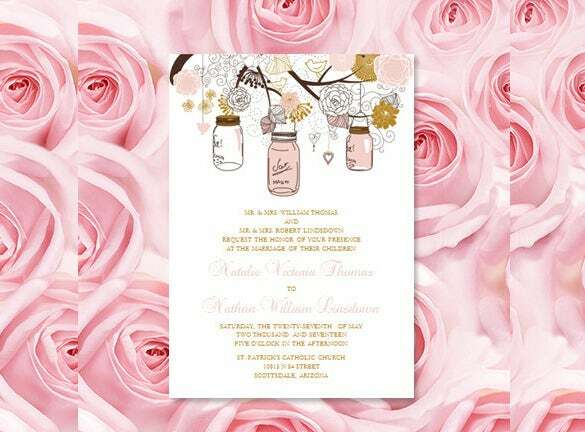 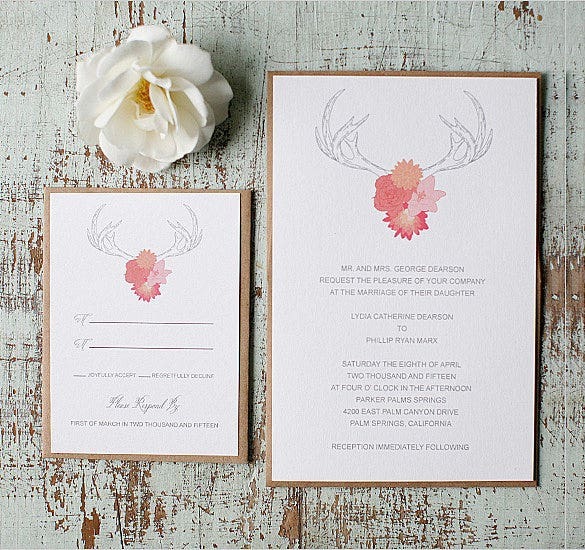 Want to give your invitation card a different look? 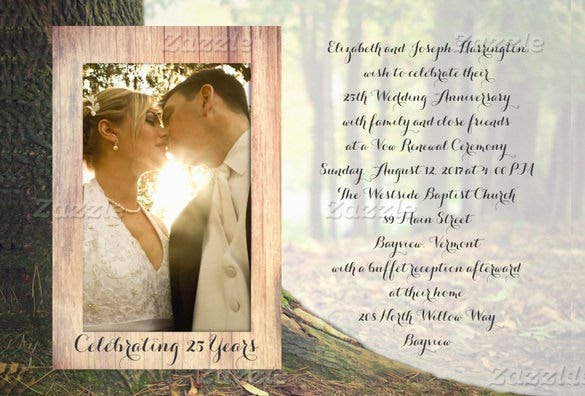 There are words rustic wedding invitation and announcements available in variety of sizes, designs and layouts. 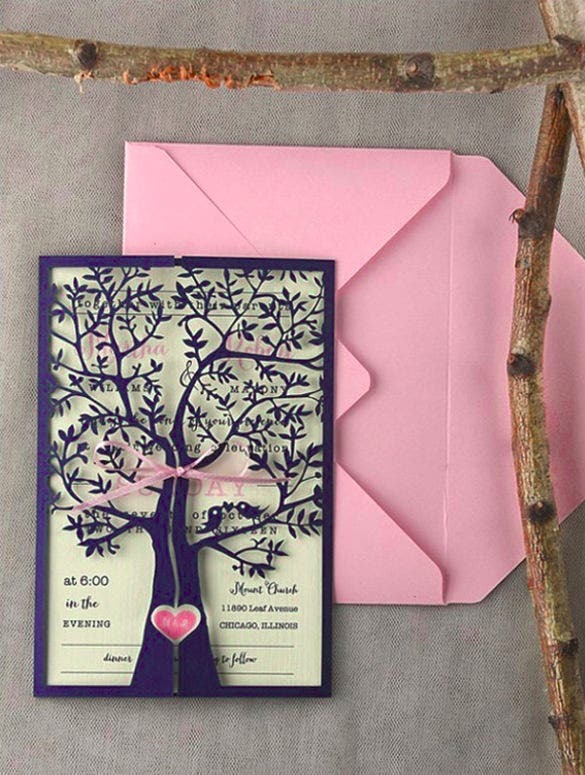 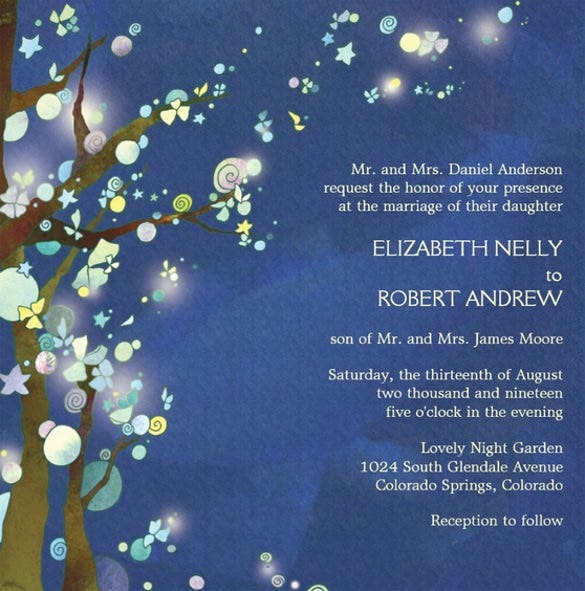 You can have rustic trees and hanging string lights printed on your 5*7 wedding card. 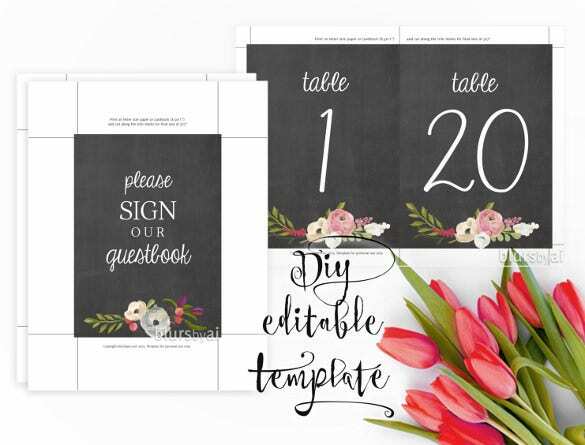 Create one of a kind invitation cards with the rustic feature combined with photos and texts. 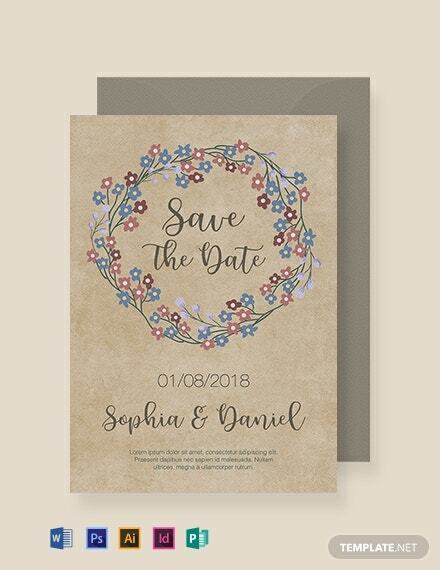 Don’t forget to ask your friend and family as to how they liked the wedding invitation design template and get their views for improvement which you can suggest to somebody else. 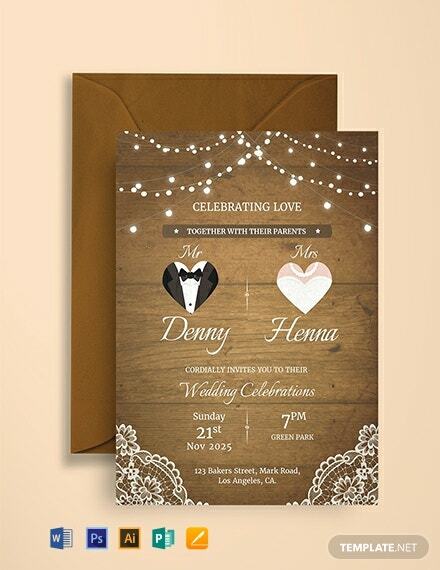 Select from the variety of wedding invitation templates available in numerous formatting options like PSD, PDF, MS Word and many more. 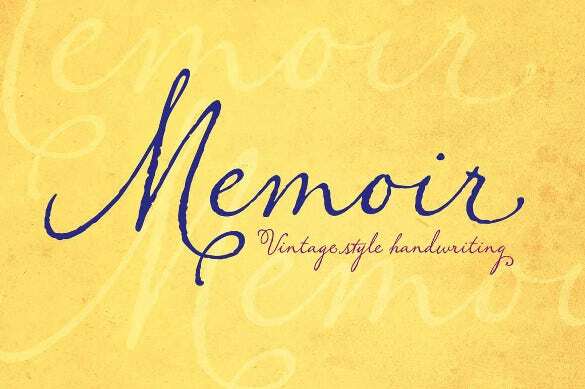 If you want your wedding invitation card to look different and quit special in all the senses, use this memoir vintage style wedding invitation theme that has a rich yellow shade all about it and the calligraphy on it makes it look exceedingly good. 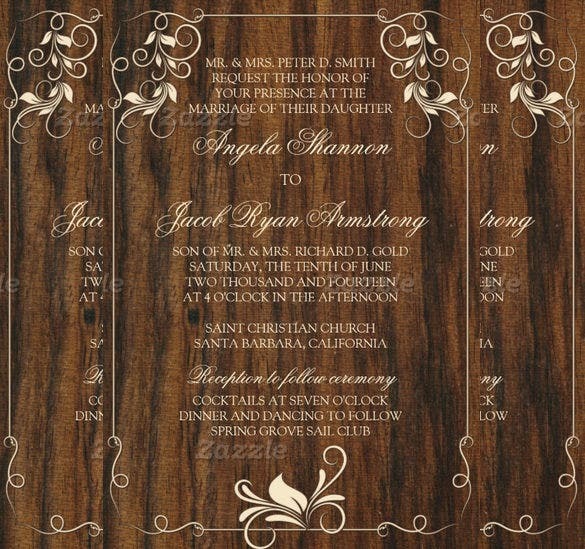 A wedding invitation carved in wood might be one of the best ideas of all times. 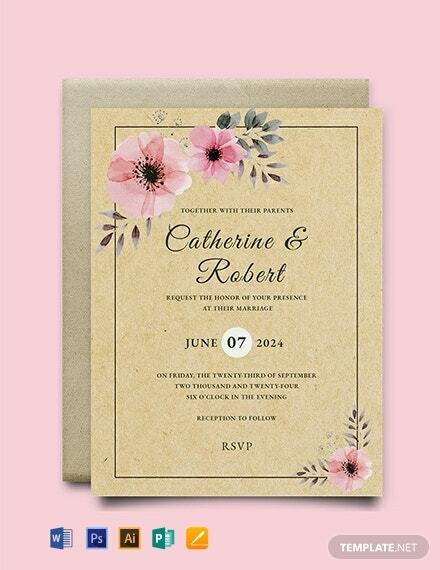 Besides being natural and environment-friendly, this style has a very rich and elegant look about it which is very genuine. 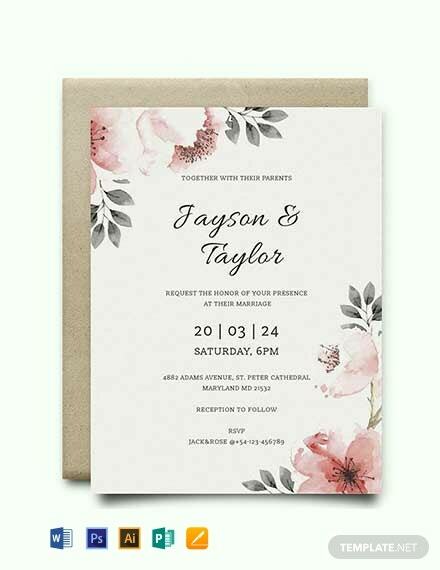 Invite your family and friends to your wedding celebrations in a stylish manner that inspires beauty and class with this wedding invitation theme that is very simple in looks and yet has an unending harm about it. 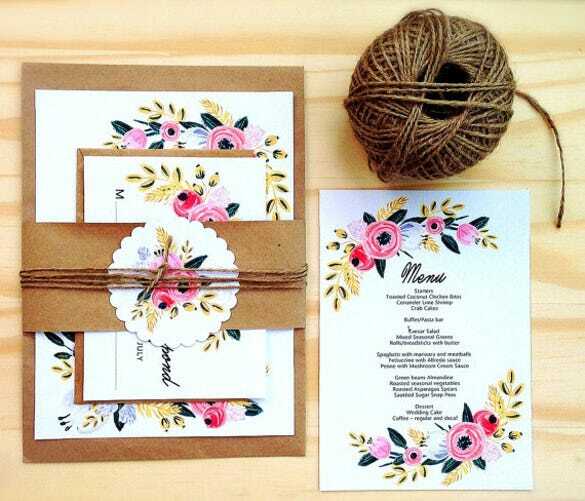 Make your wedding invitation card look lovable and adorable with this rustic mason jars wedding invitation theme that features a picture of mason jars on it and looks just good in the colours of a light shade. 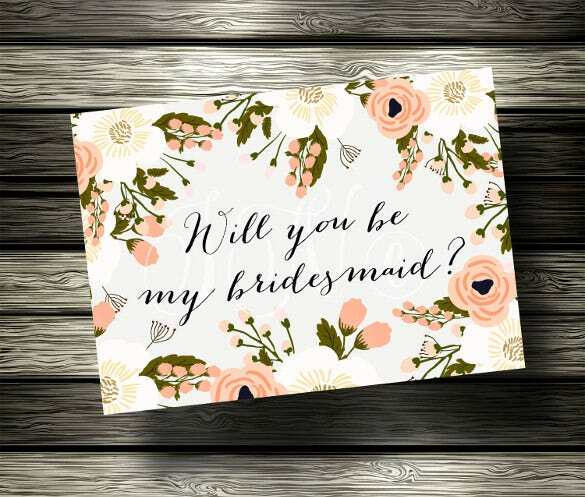 Invite all your near and dear ones to your big day’s celebrations by reminding them that it indeed is a very big day that they cannot possibly miss for anything in the world. 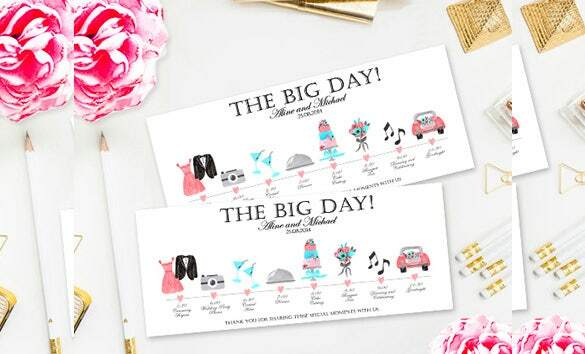 And don’t forget to say that on your wedding card with this custom wedding schedule timeline template. 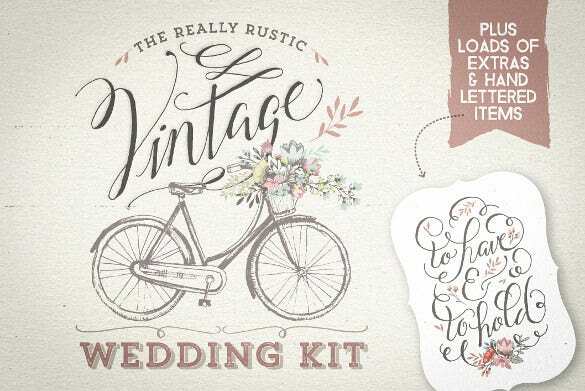 Make your wedding vows special and beautiful and funny and tell a few of them to your family and friends too, with this rustic photo vow renewal ceremony theme that looks beautiful in all its colours. 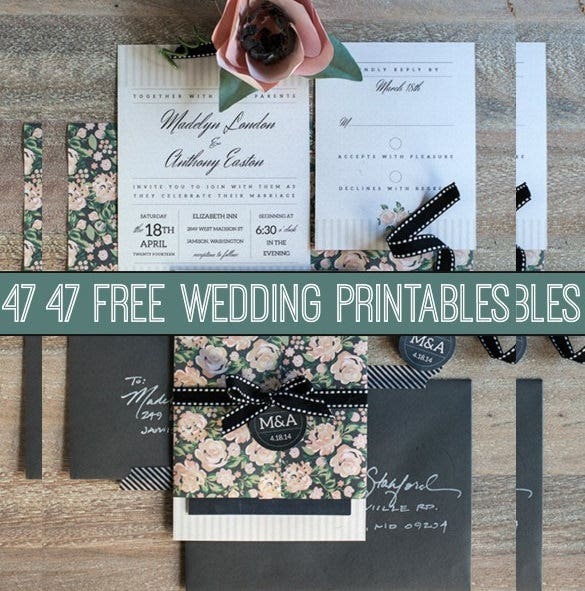 A chalkboard theme can never go out of style for it has everything that is attractive – the black of the chalkboard and the rustic white of the chalk and needless to say, a classic feel about it. 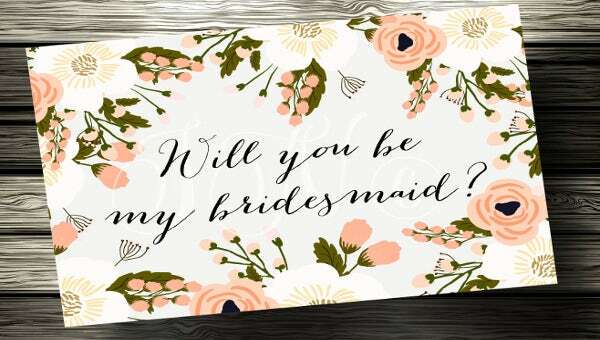 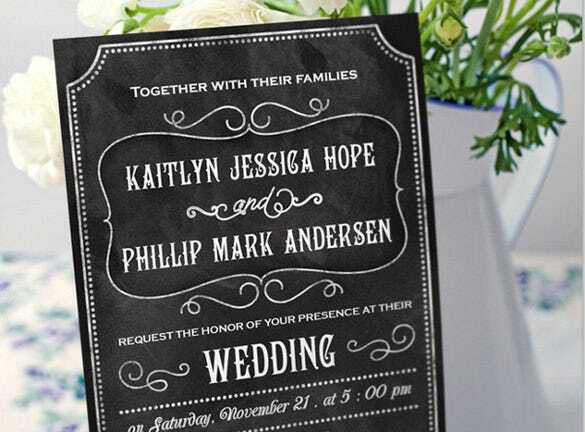 Use this rustic wedding chalkboard printable invitation template for this very effect! 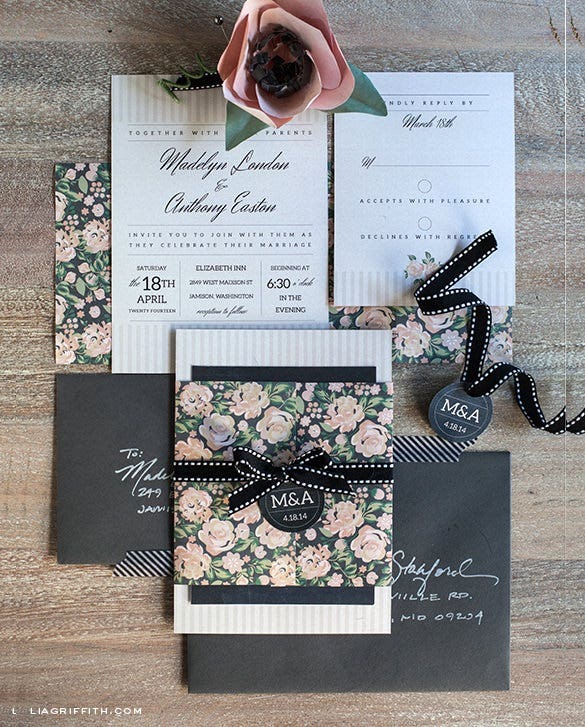 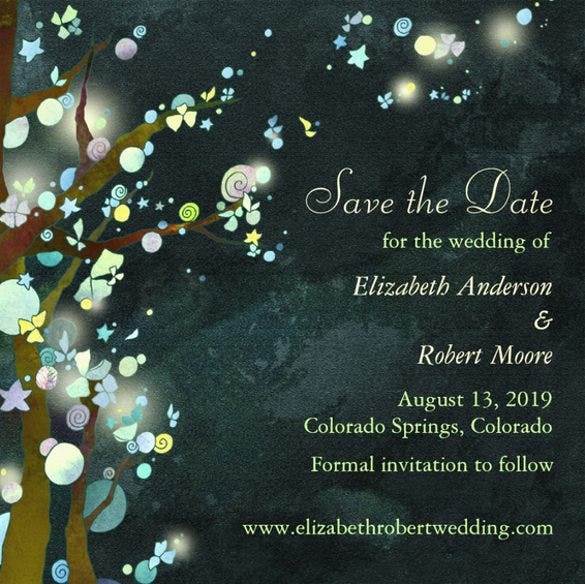 Make your wedding invitation card look exceedingly beautiful and attractive with the help of some very brilliant colours and beautiful textures that are set in blush in charcoal and have a very charismatic feel about them. 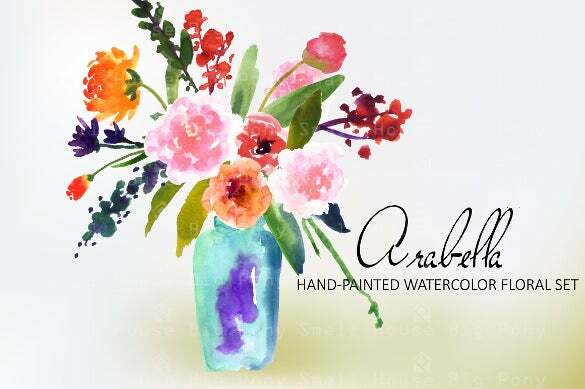 If you have always been a fan of paintings or basking in colours has been your way to soothe yourself, use that theme on your wedding card as well with this Arabella watercolour clip art set that looks artistic and very spectacular.